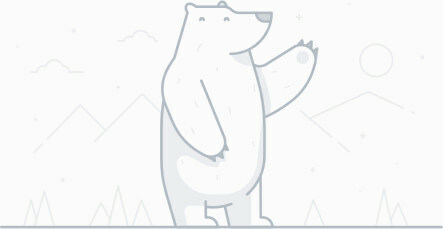 Get updates on Bear progress. No spam, ever. 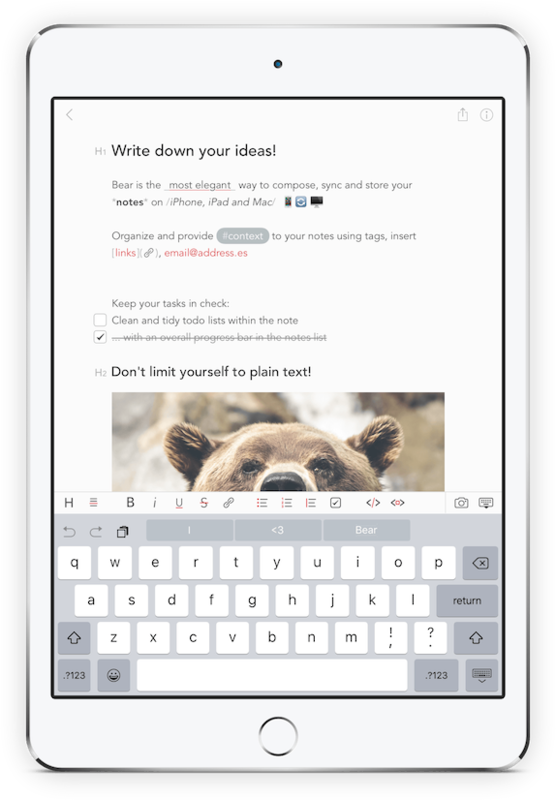 Bear works on iPhone, iPad, and Mac, so you can write wherever inspiration strikes. Use todos to stay on task across every device. Link notes to each other to build a body of work. Use hashtags to organize for the way you think. 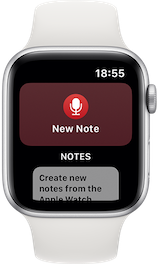 All notes are stored in portable plain text. 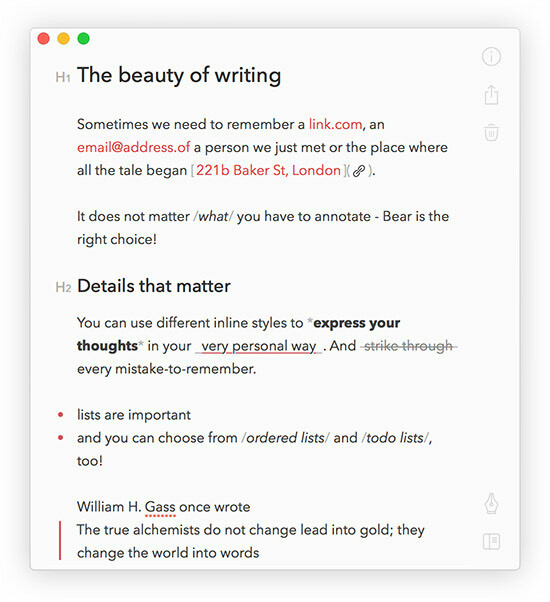 Bear is perfect for everything from quick notes to in-depth essays. A focus mode helps you concentrate, and advanced markup options are an online writer's best friend. Full in-line image support brings your writing to life. 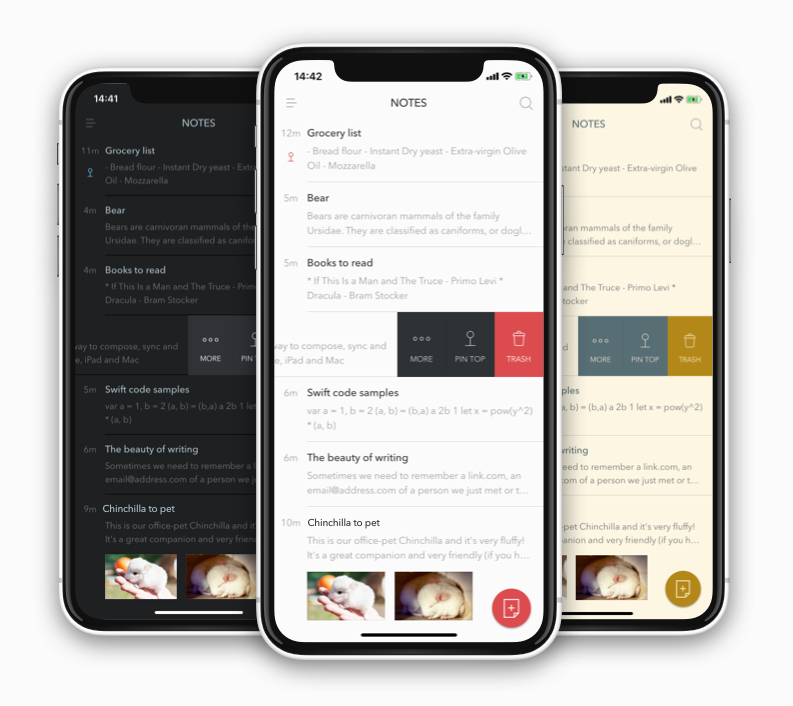 Packed with beautiful themes and typography, and more options on the way, Bear makes your writing look great before and after publishing. Bear's simple tools take the effort out of writing, whether you need to hit specific word counts and reading times, or you need to convert your writing into PDF and Word docs. With Bear's custom markup shortcuts, you can add style and links with just a tap or keystroke. 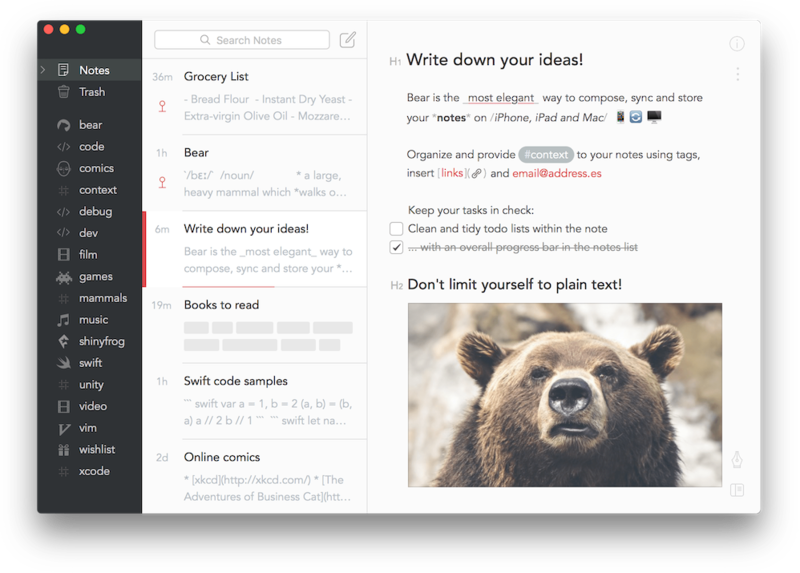 Many of Bear’s features are free to use on Mac, iPad, and iPhone. You can create notes, add tags and attachments, and export to a variety of formats. 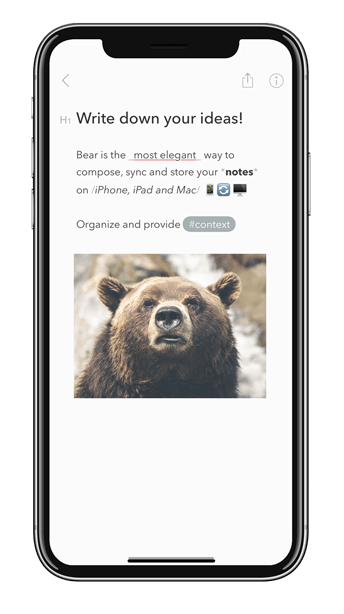 Bear Pro offer advanced features, including sync between all your devices, over a dozen beautiful themes, and more powerful export options. All this, and future Pro features, can be unlocked with a single in-app subscription that covers all your devices. Prices may vary based on your region due to local tax laws and conversion rates from U.S. dollars. A collection of the parts of the internet dedicated to Bear. Do you think that the gentle tweet of a Bear is odd? We don't! Redditor? Join the official subreddit for Bear. Even bears have their own pages! No spam, ever. Your email address will only ever be used for Bear and Shiny Frog News and you can easily unsubscribe with a single click at any time.